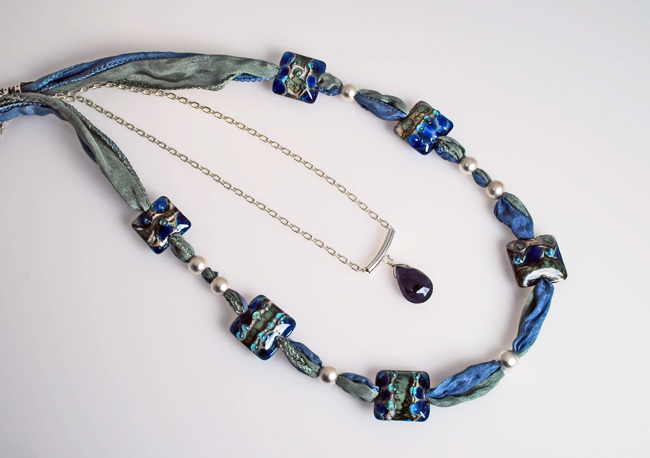 Wrap yourself in the luxury and softness of silk ribbon in subtle aqua tones finished with handmade lampwork beads in lovely shades of blue. 20″ long. Pair it with our rich navy blue iolite solitaire on an 18″ sterling silver chain for a change of pace. Together or alone, the perfect match for that blue blouse!